Appearance: Its colour depends on the quarrying site and ranges from a rich blue to a lighter blue verging on the white in swirls and lines. 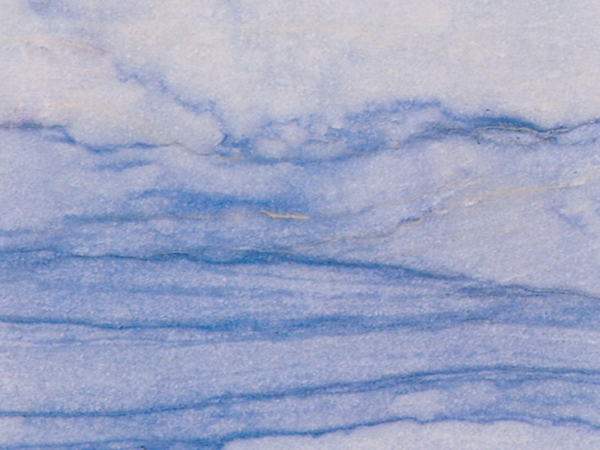 Properties: Geologically speaking Azul Amazon is a quartzite. Colour variations and movement occur at all times and are part of the beauty of this rare granite. It is recommended to seal this stone to extend its longevity. Use: Due to its good wear resistance, this natural stone is suitable for all internal and external uses, including floor, kitchen worktops and other bespoke stonework in private and public environments. Formats: Tiles, slabs and cut-to-size. Finishes: Polished, honed, as well as rougher finishes, including flamed, brushed and bush-hammered.